Most people experience headaches at some point in their lives. Sometimes the headaches are associated with an illness, injury, or fatigue, but in many cases they can be frequent and chronic. Oftentimes, over-the-counter medications just don’t touch the pain. And with chronic headaches, you want pain relief that doesn’t require popping pills continuously. Chiropractic care offers a drug-free, noninvasive, and safe way to treat many headaches -- particularly migraines, tension headaches, and cervicogenic headaches. Read on to learn how this therapy might be the answer to your headache pain. What types of headaches respond well to chiropractic treatment? Tension headaches are the most common type of headache. When you have a tension headache, it feels like a tight band is wrapped around your head, and it may be a result of stress, anxiety, or fatigue. You may unknowingly tighten muscles and irritate nerves when you’re feeling overwhelmed or overtired. Spinal manipulations and soft tissue therapy can help you relax these irritated muscles, so the cause of your headache disappears and you feel better. Cervicogenic headaches originate in the bones and soft tissue of your neck, so you may notice compromised neck movement and pain in your shoulder and arms. The pain radiates to your head, causing intense discomfort and dysfunction. Because cervicogenic headaches are secondary to a disorder of the cervical spine and the surrounding tissue, they’re especially responsive to chiropractic treatments to the vertebrae in the area. Migraine headaches are the third most common reason people seek chiropractic care. Oftentimes, the neurological symptoms that accompany migraines are a result of misdirected nerve pathways and the resulting abnormal release of brain chemicals. Chiropractic, with its emphasis on the spine and the accompanying nerves, offers treatment to resolve migraines. How does a chiropractor help treat headaches? Chiropractic holds that the central nervous system controls and regulates every cell of your body. If the nervous system is compromised in some way, your body doesn’t work correctly and you experience symptoms -- including headaches. Misalignments in the vertebrae of the spine can irritate, pinch, and compress nerves, thus causing headache pain. Chiropractic treatments shun medication in favor of treatments that help relieve nerve compression and spinal misalignment, so that the body can right itself. You can find relief from chronic and debilitating headaches by simply freeing the body and allowing it to do the work of healing. Our chiropractic team can also help you identify headache triggers in foods or the environment to help you prevent future pain. They may also help you determine what types of exercise are best to support a headache-free lifestyle. You may find improvement when you pursue low-impact activities, such as walking and swimming, and mind-body modalities, such as yoga, rather than heavy, high-intensity exercise regimens. We can also offer recommendations as to how to position your workspace, to ensure adequate hydration, and to prevent aggravating behaviors -- such as teeth clenching -- that contribute to headache pain. All of these interventions can help keep headaches at bay, so you experience them less often. 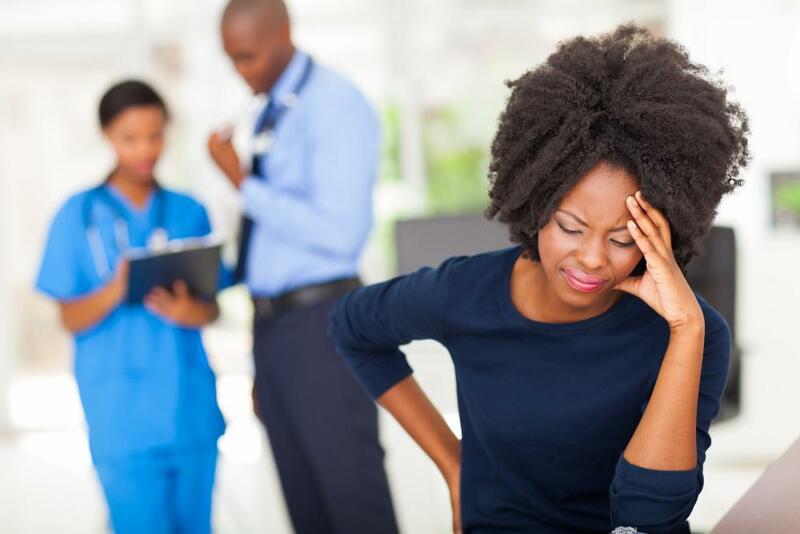 If you suffer from regular headache pain and are tired of drug interventions that don’t always offer relief, consider noninvasive, drug-free chiropractic therapy. Call our office or book an appointment using the online scheduler.